The folks over at The Verge have a contact that has been able to shed some light on Microsoft’s future Windows Phone plans. Apparently both Samsung and HTC intend to release Windows Phones with LTE support. On the HTC side, all that is known is that it is codenamed ‘Radiant’ and was previously spotted running a post-Mango build, but The Verge’s source has said that both of these devices are slated to be running pre-Tango versions of Windows Phone. Samsung’s device is codenamed ‘Mandel’ and will sport a screen that is larger than the 4.3-inch display currently on the Samsung Focus S. Both of these devices are expected to debut in early 2012 along with an LTE version of Nokia’s Lumia 800. Since Verizon earlier proclaimed that Windows Phone needs LTE support to succeed on its network, we wouldn’t be surprised to see big red going after one of these devices. It is not expected that these devices will be revealed at this year’s CES, but some have pointed out that February’s Mobile World Congress in Barcelona may be a great fit for an official announcement. Someone just said that a wango update is also on the way after tango because mango was not very tasty and so they worked out tango and then will come wango before pango . Pango is a major update. after that, Rango will be a minor update. Good Luck you all. to me xango is de real deal...heard after that the final update will be zango. I guess you lames forgot about the gingerbreadman,honeycomb hideout and ice cream sandwhiches. or are you iOS fanboys from version 3.1.3 to 4.2.1 followed by.......5.0.1...BORING. If you don't like a OS,don't use it.People like options,I don't want everyone to have the same stuff and believe me we all don't want to run around looking like the first "guy" posting. So many WP going to ATT and basically zero for the rest. I just don't how MS will gain market share betting on one carrier. I just don't know if its MS or the carriers, besides ATT, that they don't work with each other or what. Sad and s**tty marketing basically. Stress the smoothness of the Os all you want but if it's not easily accessible to all consumers, WP isn't going anywhere. 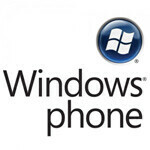 Great news that WP7 is coming out with LTE-enabled phones! LTE may not be that important elsewhere in the world, but it certainly is big in the U.S., with Verizon having rolled it out and AT&T starting to do the same thing. Have recently added a second phone with WP7 to my Android, and have mostly positive things to say about the OS! Not that it's perfect, but my experience with it is very positive, and would probably be even better with Apollo (WP8)! I believe Tango is a minor update but an important one if it brings LTE capability to WP7. Great to have a third choice, after Android and iOS. Too bad RIM is going down, and webOS failed.